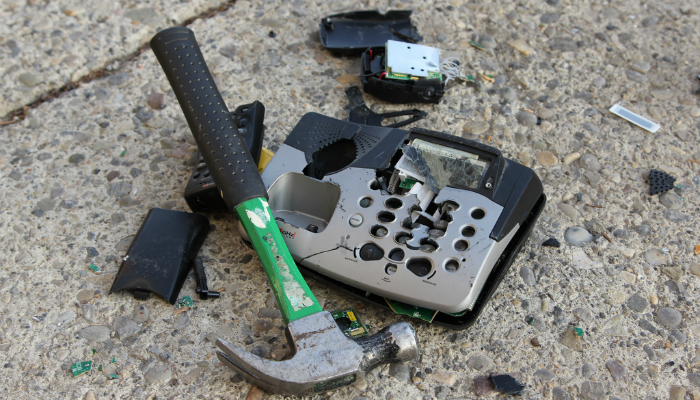 Justifying a business phone system upgrade to your boss can be challenging if you're not in dire need of an upgrade. If you're able to maintain basic functionality and provide customer service, the costs associated with an upgrade can be difficult for information technology staff to justify. However, remaining proactive about staying ahead of your customer and employees' voice needs is critically important. No business ever wants to find themselves in a position where they're simply unable to meet their customer's call volume due to an outdated system. Wondering if it's Time for a Phone System Upgrade? If you suspect that your phone system is nearly ready for an upgrade, you could be right. Upgrading your system proactively can allow your company to avoid near-disastrous outages, as well as appreciate some serious benefits in terms of functionality and features. In this blog, you'll learn some signs that your business needs to consider a phone system in the very near future. All too often, companies will find themselves in a position where they're using phone hardware that's no longer manufactured. While this can act as a very temporary stop-gap while you're actively looking at your upgrade solutions, operating off unsupported phone systems is risky business. Your hardware may work perfectly well today, but it's a matter of time before you have an outage and your hardware fails. If you're not ready for an upgrade when failure day arrives, you'll be forced to find a replacement for a phone that's not manufactured any longer. In many cases, a replacement will be difficult to find, expensive, or require expert assistance for installation. Are your customers getting busy signals or a "no service" message when they try to call? Are you sure? Customer service researchers have found that companies, on average, only hear back from 4% of buyers who have had an unsatisfactory customer service interaction. Most likely, your client's tolerance for buying from an unreachable vendor is pretty low. If your call volume has outpaced the capability of your current phone system, you should weigh your pros and cons. For some brands, adding additional lines to an existing system could be the right solution. For other companies who are beginning to consider an upgrade, switching to voice over IP (VoIP) and upgrading the entire system is the better fiscal choice. Purchasing a dedicated teleconferencing solution to supplement your existing plain old telephones system (POTs) may not be the cheapest option. VoIP phone systems can support teleconferencing, conference calls, and other add-on features seamlessly, and often for a cost upgrade that's cheaper than purchasing multiple types of software and hardware. Integration is easier and less expensive, as well. If your business is opening a second location, implementing a traditional phone system may not be the smartest financial choice. Expert analysts predict that there will be over 27 million VoIP users by the year 2020, which means that an upgrade is inevitable in the next several years for many organizations. You will almost certainly find that paying for a single installation of VoIP across multiple sites is cheaper than implementing POTs now, and paying for a VoIP upgrade within several years. Additionally, if your business has aggressive growth targets over the next few years, an immediate VoIP switch is probably most cost-effective. VoIP can scale seamlessly across multiple users, while continually paying to install new telephone lines can be much more expensive. Most traditional phone systems have a capped capacity. They are only capable of supporting a maximum number of devices, which includes phone lines and fax machines. If you're at your capacity or quickly reaching it, you will soon face the need to purchase additional ports to accommodate more lines. However, you should evaluate whether investing in technology to raise your cap is the right choice for your brand. If you anticipate continued growth, VoIP is much easier to scale than port technology. Even if you grow very quickly, you'll be able to add additional users to your VoIP system. Call center functionality is another form of simple add-on functionality for VoIP systems, while it can represent a significant cost investment for companies working with traditional phone system vendors. If you are adding customer service representatives and need improvements in your automated phone system attendant features, switching your entire company to VoIP likely makes the most sense. Does your sales team ever travel to client visits or on out-of-town business trips? Are you considering implementing a work-from-home policy to accommodate talent who's physical presence isn't necessary? Your company could consider issuing mobile devices, but providing employees with multiple phone numbers can result in client confusion in some cases. VoIP offers mobile forwarding as a standard features for employees who might not report to the office on a daily basis, and as a layer of redundancy should your internet connection ever go down. Additional types of integration with VoIP systems can include software connectivity, such as CRM integration to increase sales force accuracy and efficiency. If you choose to upgrade to VoIP, your employees gain the benefit of an easy-to-use mobile app that allows constant access at a single phone number and other types of technology integration. Regardless of how well-staffed your IT team is, your business shouldn't be in the position of continually paying for "truck rolls," or on-site visits from phone technicians. On average, truck rolls typically cost in excess of $150 for each visit. Opting for a hosted private branch exchange (PBX), or VoIP that is managed by a provider, virtually eliminates the need for on-site visits after implementation, even if your IT staff is minimal or non-existent. VoIP has remote management portals, which can be accessible from anywhere in the world with an Internet connection. If you're paying for site visits from a technician, it's probably time to save money by upgrading. Voice services vendors, like Verizon and AT&T, face fewer regulatory requirements when it comes to bill standardization than other industries. In other words, if you've ever thought your phone bill was incredibly confusing, you're probably right. If you're paying by-call or by-minute for local or long-distance calling, it can result in lengthy monthly statements that are difficult to reconcile. Even switching vendors for plain old telephones or mobile services is hardly a guarantee that your monthly bill will be understandable. Hosted VoIP includes a flat fee for implementation by line. Once your system is installed, you can expect to pay a flat fee for monthly service. This typically starts around $40 per seat, though costs can increase if your business opts for a high number of additional features like teleconferencing. VoIP isn't just cheaper for many companies, it results in billing that's much more clear. If your phone system is inhibiting your business in any way, it's likely time to seriously consider an upgrade. Taking a proactive approach to improving your technologies before they cause customer service disruption can ensure high customer satisfaction and retention rates. Whether or not an immediate switch to VoIP is right for you, it's smart to ensure that your voice system decisions are the most effective in the long-run. 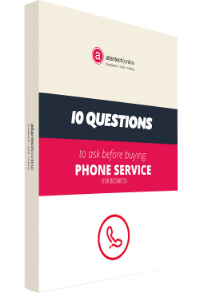 For more insights on smart upgrades, check out Atlantech's free eBook, 10 Questions to Ask Before You Buy Fiber, Phone, or Data Center Services for Your Business.